Welcome to “Guess the Gadget” a monthly reader participation series. Here’s how it works: First examine the photo of the monthly “Gadget” and guess what it appears to be. You will find the answer under this photo but upside down. Lastly congratulate yourself on your cleverness or not. We hope that this series will poke at your imagination and enhance your knowledge of historic and unusual objects no longer commonly used and raise appreciation of life as it used to be. “It’s summer again and peace and quiet are temporarily lost, but not gadgets. For this month, think old timey, like your great grandfather’s day, and think Community Store on Ocracoke! 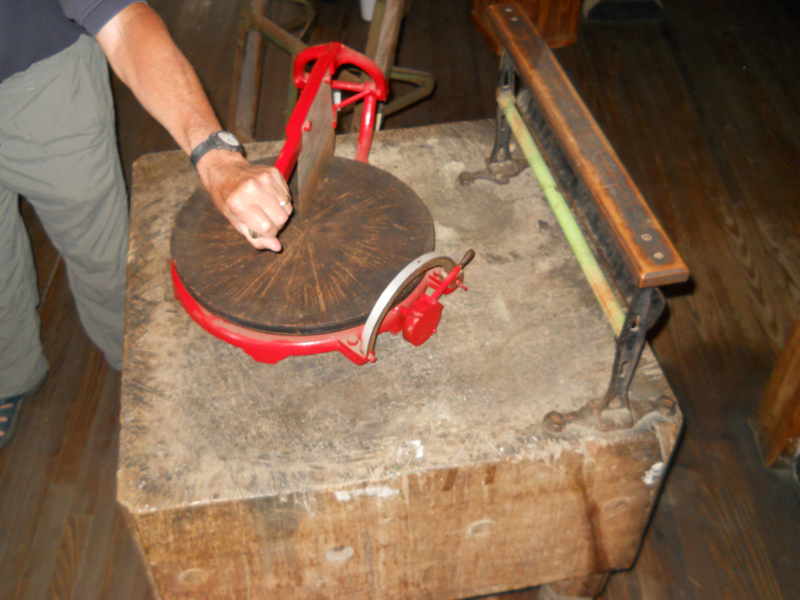 Answer: “It’s a cheese cutter, used for many years at the Community Store. The gadget guy Jim Borland is semi retired and has lived here full time with his wife since 2007.